Hanoi (VNA) – Authorities in Nam Tu Liem district of Hanoi capital city are accelerating land clearance for the construction of the Formula One (F1) Hanoi Grand Prix race track surrounding My Dinh Sports Complex. The circuit will be more than 5.5 km in length, with 22 turns. It will stretch over part of the My Dinh Sports Complex, while one section will be part of the public road. In addition, an area has been zoned off for the construction of a control centre, a grandstand, warehouse, parking lot, and helipads to serve racing teams and spectators. Earlier, Chairman of the municipal People’s Committee Nguyen Duc Chung approved a plan on the building of the F1 Hanoi Grand Prix circuit. Covering an area of more than 88 ha, the track will run through the wards of My Dinh 1, My Dinh 2, Me Tri, and Phu Do of Nam Tu Liem district. 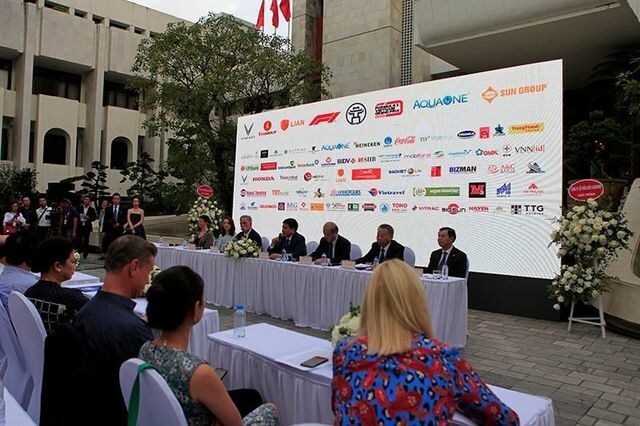 The F1 Hanoi Grand Prix is set to take place in the summer of 2020.